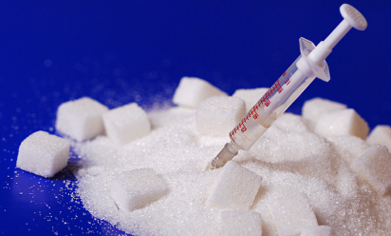 Eating lots of sugar naturally spikes your blood sugars. Your body experiences a series of peaks and troughs whereby you feel elated and full of energy, however you soon begin to experience the down side. Fatigue, dizziness, not to mention irritability which can lead to a state of depression. When you reach this “trough” your brain demands even more glucose, resulting in a wave of rising then crashing even further in the process. Refined sugars in foods such as bread, rice, pasta etc… are also linked to depression and anxiety. The best prevention is to avoid such sugars, eat at regular intervals ensuring that you include energy dense nutrients, for example, whole grains, pulses, green vegetables. Protein is the building block of who we are therefore Including protein with each meal keeps you fuller for longer and prevents your blood sugars from spiking. Fruits are fine, however too much fruit again spikes your blood sugars. It is true that the sugars “fructose” in fruit is a natural sugar however at the end of the day you’re still consuming sugar! Sugar is a drug and we respond in exactly the same way as someone who is addicted to any other narcotic. That means you will experience the usual highs and lows, like other forms of addiction. There will be marked changes in your body once you amend your dietary intake of sugar. You’ll have more energy, be able to sleep better, your mood will change and for example you’ll be more positive. Overall your mind and body will be far more alert, not to mention the obvious health benefits that eliminating sugars will bring.